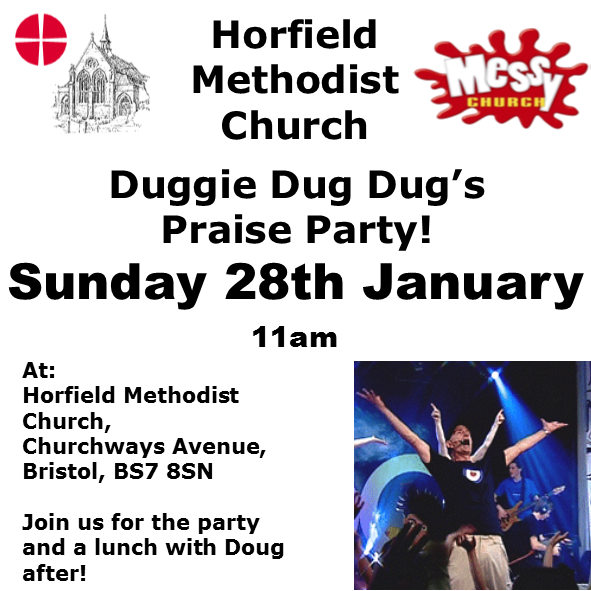 We are really excited to announce that the one and only Duggie Dug Dug (Doug Horley) is going to be coming to Horfield Methodist Church on Sunday 28th January at 11 am to host a Praise Party! It will be to help celebrate 119 years of worshipping God in our building. (We can’t believe we’re that old either…) There will be singing, dancing, jokes, and roof raising praise, and we really can’t wait. After the service, we will have a traditional Messy Church lunch, where we will get the chance to share fellowship with each other and Doug and his team who will be joining us for food! This entry was posted in Events, Worship on January 24, 2018 by admin. 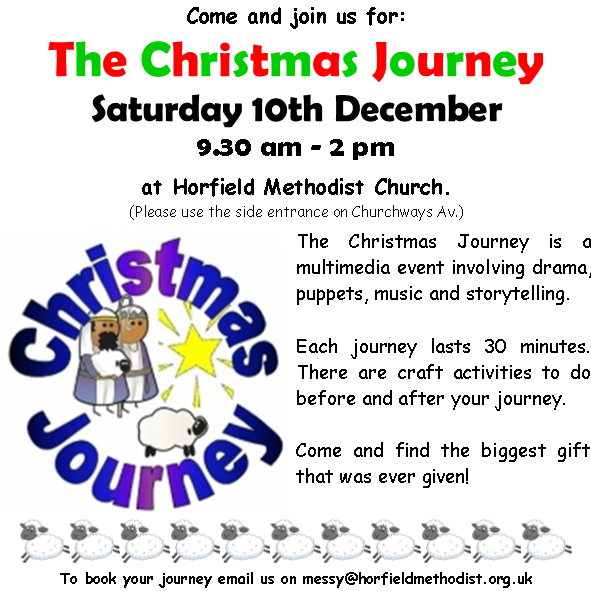 We are running the Christmas Journey Open Day at Horfield Methodist Church on Saturday 10th December 2016, instead of our normal Messy Church. The Christmas Journey is an interactive, multi-media, multi-sensory exploration of the Christmas Story involving drama, music and story telling. We are running the journey in groups from 9.30 am, each journey taking around 30 minutes. There are also craft activities to do before and after your journey. There will also be some places available on the day. This entry was posted in Events, Messy on November 25, 2016 by admin.